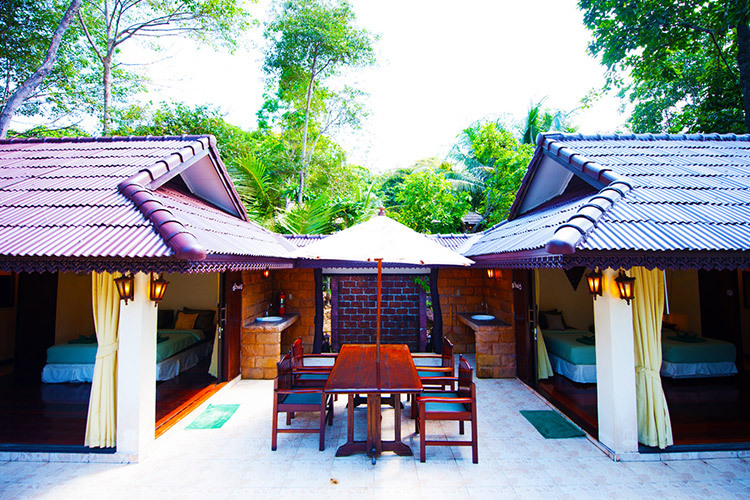 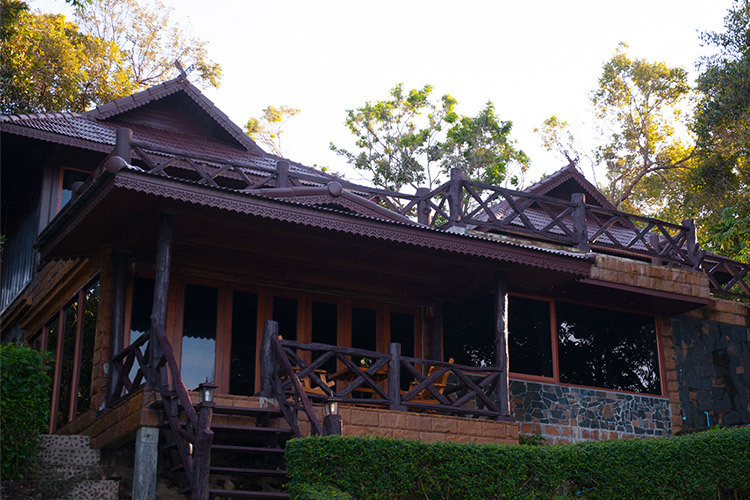 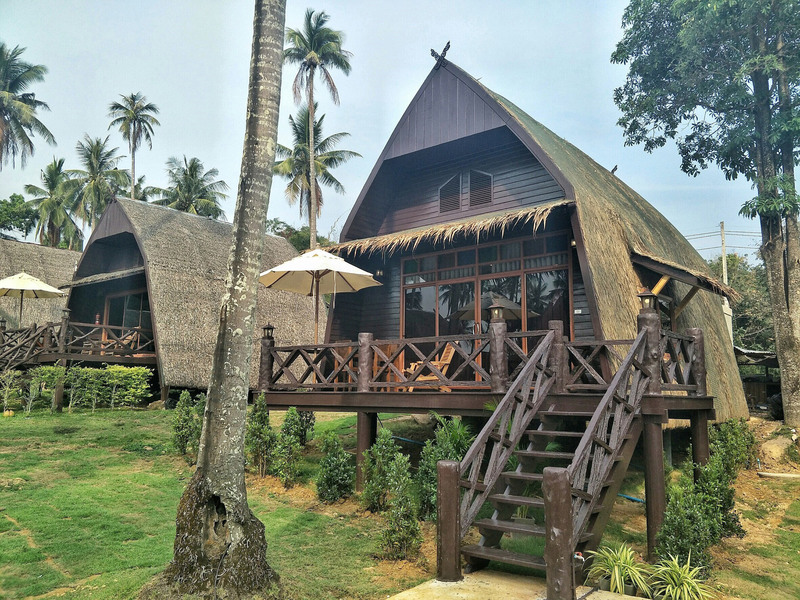 The Thai Twin House is a Thai style twin bungalow ideal for couples as well as families. 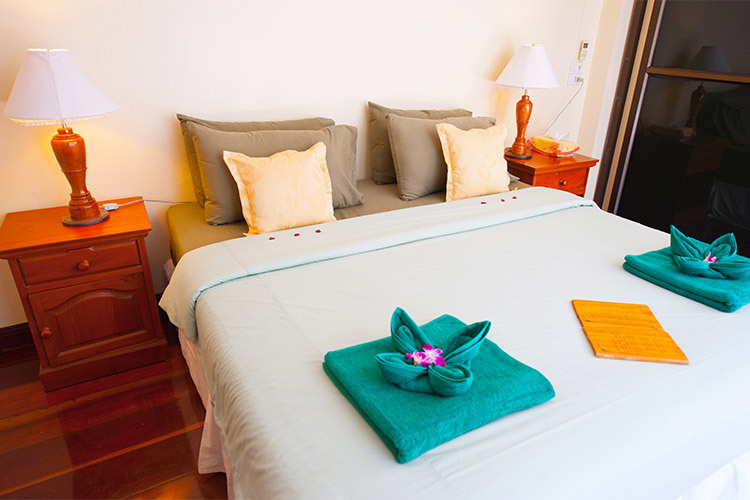 The house is 63 m² and has 2 rooms, a shared terrace, and a large shared jacuzzi on the terrace. 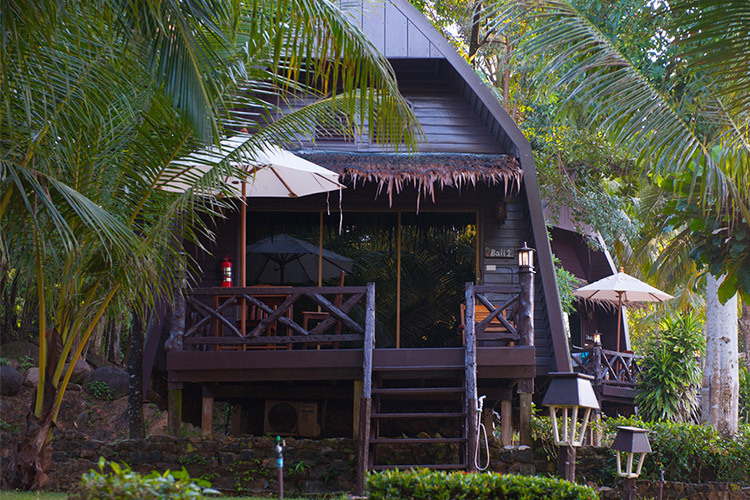 The house features double rooms and/or twin rooms, amenities and an open-air bathroom that really allows you to feel close to nature. 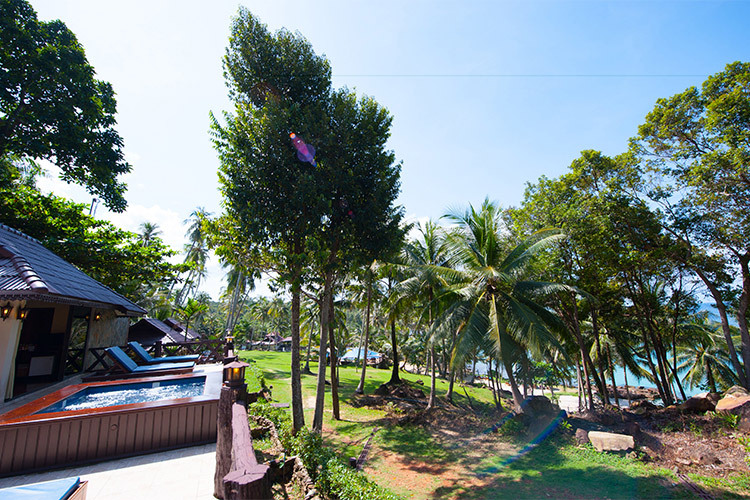 The atmosphere is warm and relaxing, and the house offers a beautiful partial sea view and overlooks the large green garden and the coconut trees.